Tara Newton of Kingfisher FFA has finished her speech career at the National FFA Convention in Indianapolis- and she did in style as she appeared on the National Finals Stage as one of the National Finalists in the Prepared Public Speaking category. Results of the Final Four contest will be revealed Friday night at the 7th General Session of the National Convention. 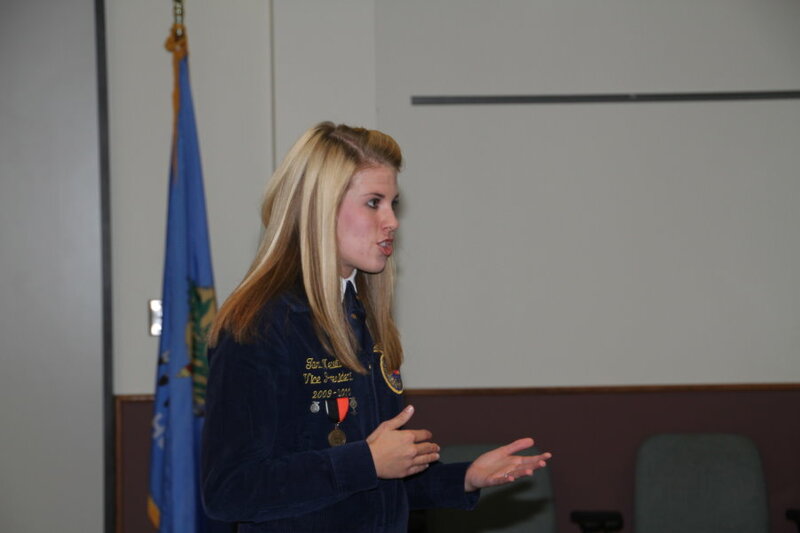 After her final presentation, we sat down and talked with Tara about her presentation on Thursday, how she developed this speech topic and what's ahead for her as her FFA career winds down. She currently is a freshman at Oklahoma State University and hopes to find a career in the world of agriculture after graduation in a few years. Click on the LISTEN BAR below to hear our visit with Tara Newton here at the National FFA Convention.